At the time I began composing Of Breath and Touch, I happened to be listening to works by the French composers Ravel, Debussy and Satie as well as to traditional music from Egypt and Turkey. There are unexpected parallels in the types of minor scales used by each country's musicians, as well as between the disparate cultures' use of reed instruments. The bassoon is remarkably well suited for some of the long, floating melodies that are often heard in Middle Eastern music, usually played by wind instruments like the ney or the mizmar. 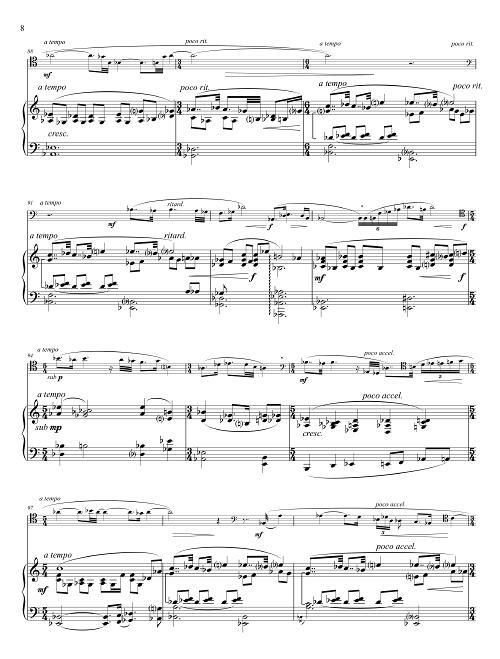 Two years later, I chose to adapt this piece for oboe for similar reasons. "One new voice to emerge on this recording is West Coast composer Alex Shapiro, in "Of Breath and Touch." In the opening measures of the work you can hear the "town crier" high up in the minaret reporting on the events of the day. 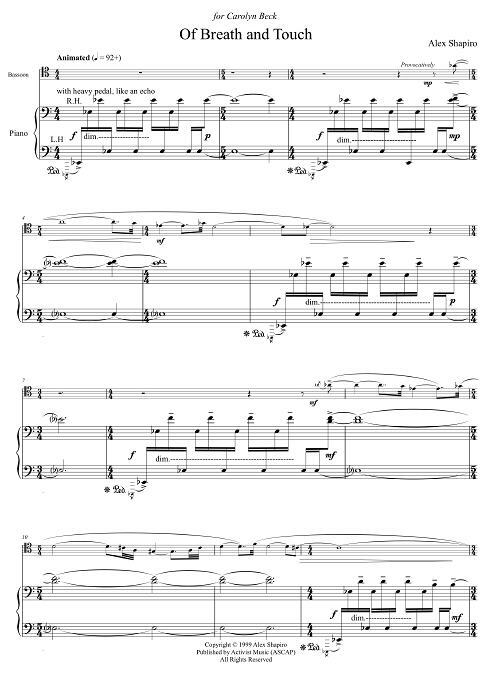 The work is somber in mood, at once angular and lyrical, with splashes of contrapuntal dialogue between the bassoon and piano. Although one would expect a work containing such vivid colors and multiple layers to be dense and overwhelming, Shapiro's writing is clear and idiomatic. Beck's playing is strong and sure throughout and the listener can hear a clear connection between composer and performer."